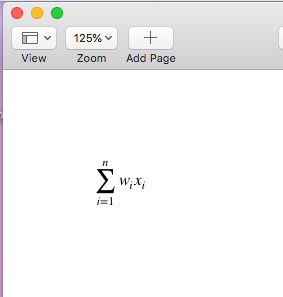 What is the keyboard command or shortcut to edit equations in macOS Pages? That's super convenient, because it allows me to insert equations quickly and efficiently (hands can stay on the keyboard and don't require using the mouse/trackpad). 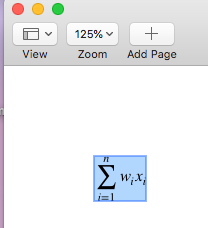 However, I cannot find a way to open the equation for editing except for using the mouse/trackpad to double-click. Is there a keyboard combination to do this? When I press CMD+OPT+E, it will open the edit menu for a new equation instead of opening the current one for editing. How to display the current mapping for keyboard shortcuts in realtime? 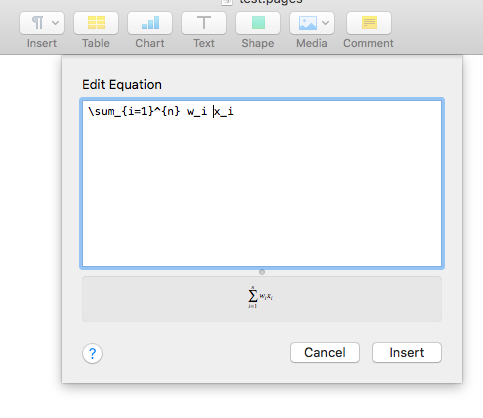 How to add shortcut for Insert Equation in PowerPoint 2016?